Hotel Muse Bangkok is one of the most popular destinations for newlyweds looking for a honeymoon hotel in Bangkok. As soon as honeymooners check into Hotel Muse Bangkok, a Bangkok Boutique Hotel, they cross over the threshold of their luxurious rooms their memorable honeymoon begins. Suite interiors are uniquely designed to create an East meets West feel where the best of both designs unite in perfect union. While honeymoon usually leads to pristine beaches and exotic destinations in Thailand, newlyweds tend to spend their first or last couple nights in the bustling Bangkok. After a little sun and sand, many couples enjoy doing a getaway to a city with romantic restaurants, luxury hotels and exciting entertainment. Located on Langsuan Road in Chidlom, Hotel Muse Bangkok is the perfect honeymoon hotel in Bangkok for this special occasion. Set in a leafy neighborhood among the most sophisticated crowd, Hotel Muse Bangkok connects you to all the culinary, shopping and entertainment hotspots. The elegance and sophistication of this iconic urban hotel in Bangkok have made it the number one choice in newlyweds’ eyes. Hence, Hotel Muse Bangkok was named the Best Romantic Hotel in Asia 2017 by Haute Grandeur Global Awards, making it the best honeymoon hotel in Bangkok. With breathtaking views of the city skyline, the city can be yours in a guestroom or suite at Hotel Muse Bangkok. Boasting 174 spacious and comfortable guestrooms and suites, Hotel Muse Bangkok is the ideal choice for couples and newlyweds alike. Each of the guestrooms and suites features plush, luxurious bedding, high-speed Internet access, flat-screen TV, minibar and other modern amenities. While each room type is designed for ultimate comfort, the Duplex Suite, Nimman Suite and Penthouse offer plenty of space for two. Fusing contemporary design inspired by the Rama V era and cutting-edge technology, every suite is a romantic cocoon for lovebirds. At this honeymoon hotel in Bangkok, couples can enjoy a relaxing soak in their very own clawfoot bathtub in the morning after they wake from a good night sleep. With spectacular city views and singular design, Hotel Muse Bangkok offers a romantic escape package that is tailormade for couples and especially newlyweds. The honeymoon hotel in Bangkok will greet you with fragrant flower petals scattered on your velvet-smooth bed linens. The overnight stay also includes a complimentary takeaway gift of soft pillowcases with both of your names embroidered. Here, you can relax and enjoy a free bottle of sparkling wine that comes with your package. Wake up in a plush, king-sized bed, indulge in spa treatments and explore the exciting city of Bangkok together. This romantic escape package would be a fitting splurge for all honeymooners. There is no better way to celebrate your love for one another than by staying at Hotel Muse Bangkok which houses exquisite dining outlets. This honeymoon hotel in Bangkok offers a sumptuous locally and internationally inspired cuisines, as well as creative cocktails and an extensive wine selection. Perfect for couples who are food and wine connoisseurs, Hotel Muse Bangkok features a memorable gastronomic experience driven by passion. Couples seeing for a unique dining experience can enjoy the cuisine of the chic and cozy Medici Kitchen & Bar. Featuring Italy’s famed Mediterranean cuisine, Medici Kitchen & Bar boasts a menu that consists of wholesome dishes crafted with local and imported produce. Where classical dishes are revived, Medici Kitchen & Bar serves up sophisticated and homey flavors. 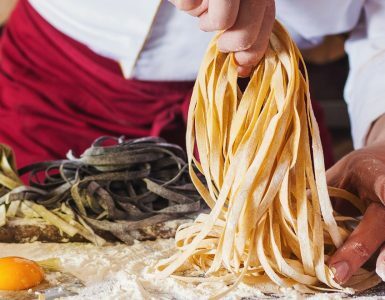 Here, our executive chef Bart Cywinski creates daily handmade pasta and authentic recipes. Aside from unique culinary creations, there will also be live music performances to be enjoyed. This Chicago-style steakhouse is set sky-high, offering spectacular skyline views of Bangkok city. With bold, warm colors and beveled mirrors, Babette’s The Steakhouse features an American-retro setting. Babette’s The Steakhouse offers rare cuts of imported meats, grilled fish and seafood and tasty, aromatic vegetables on the side. Perfect for those couples who are looking into rare luxury and fine wine, Babette’s The Steakhouse is the ideal option. With a walk-in cellar storing dynamic vintages from the New and Old World, you two lovebirds can pair the meal with luscious wine. A welcoming and vibrant dining atmosphere. A flavorful journey to be remembered forever. Our honeymoon hotel in Bangkok is the home of a lofty rooftop bar. When the sun sinks into the horizon, couples should head over to The Speakeasy Rooftop Bar for sundowners and stunning sunset views. Situated on the 24th and 25th floor, the signature rooftop bar fuses local flavors into its craft cocktails and cuisines. With comfortable lounge seating and stylish sips, The Speakeasy Rooftop Bar is easily one of the most romantic rooftop bars in Bangkok. Here, you’ll want to enjoy an assortment of fresh salads, small bites and Thai snacks. Aside from cocktails, there are also a wide variety of drinks which includes Champagne, wine and liqueurs. Set in the heart of Bangkok city, Hotel Muse Bangkok is only situated steps away from the BTS SkyTrain Chidlom Station. This honeymoon hotel in Bangkok offers the utmost comfort and convenience. Whenever you two are ready for exploration, you can hop on the BTS SkyTrain. We have a dedicated tuktuk driver that’ll take you directly to Central Chidlom or Chidlom Station — all complimentary. The BTS connects you to just about anywhere — the business district of Sathorn, the fashionable hub of Siam and all the key shopping destinations. Book your city escape with us and experience a world full of romance. Planning your honeymoon, Hotel Muse Bangkok is the best honeymoon hotel in Bangkok for your nuptials celebration.